This agreement applies as between you, the User of this Website and Nachiyar Online, the owner(s) of this Website. Your agreement to comply with and be bound by Clauses 1, 2, 5 – 12 and 16 – 26 of these Terms and Conditions is deemed to occur upon your first use of the Website. Clauses 3, 4, and 13 – 15 apply only to the sale of Goods. If you do not agree to be bound by these Terms and Conditions, you should stop using the Website immediately. "Nachiyar Online" means a trading name of LOSLAS NETWORK LTD, a company registered in the UK. "We/Us/Our" means nachiyaronline.com a trading name for the company for LOSLAS NETWORK LTD, a company registered in England under 07635064 of 7 Spring Street, Paddington, London, W2 3RA, UK. These Terms and Conditions DO NOT apply to customers buying Goods in the course of business. www.nachiyaronline.com. If Goods are being ordered from outside the Sri Lanka, import duties and taxes may be incurred once your Goods reach their destination. We are not responsible for these charges and we undertake to make no calculations or estimates in this regard. If you are buying internationally, you are advised to contact your local customs authorities for further details on costs and procedures. As the purchaser of the Goods, you will also be the importer of record and as such should ensure that your purchase is in full compliance with the laws of the country into which the Goods are being imported. Please be aware that Goods may be inspected on arrival at port for customs purposes and that we cannot guarantee that the packaging of your Goods will be free of signs of tampering. Please also be aware that Sri Lanka consumer protection laws may not apply. 5.1 Subject to the exceptions in Clause 6 of these Terms and Conditions, all Content included on the Website, unless uploaded by Users, including, but not limited to, text, graphics, logos, icons, images, sound clips, video clips, data compilations, page layout, underlying code and software is the property of Nachiyar Online, Our affiliates or other relevant third parties. By continuing to use the Website you acknowledge that such material is protected by applicable United Kingdom and international intellectual property and other laws. This Website may contain links to other sites. Unless expressly stated, these sites are not under the control of Nachiyar Online or that of our affiliates. We assume no responsibility for the content of such websites and disclaim liability for any and all forms of loss or damage arising out of the use of them. The inclusion of a link to another site on this Website does not imply any endorsement of the sites themselves or of those in control of them. Those wishing to place a link to this Website on other sites may do so only to the home page of the site www.nachiyaronline.com without our prior permission. Deep linking requires our express written permission. To find out more please contact us by email at info@nachiyaronline.com. 10.2 You acknowledge that Nachiyar Online reserves the right to monitor any and all communications made to us or using Our System. 10.3 You acknowledge that Nachiyar Online may retain copies of any and all communications made to us or using Our System. 11.3 If you have reason to believe that your Account details have been obtained by another person without consent, you should contact us immediately to suspend your Account and cancel any unauthorised purchases that may be pending. Please be aware that purchases can only be cancelled until they are dispatched. In the event that an unauthorised purchase is dispatched prior to your notifying us of the unauthorised nature of the purchase, contact Nachiyar Online via info@nachiyaronline.com. 12.1 Either Nachiyar Online or you may terminate your Account. If we terminate your Account, you will be notified by email and an explanation for the termination will be provided. Notwithstanding the foregoing, we reserve the right to terminate without giving reasons. 12.2 If we terminate your Account, any current or pending purchases on your Account will not be cancelled and will be dispatched. 12.6 We do not store credit card details nor do we share customer details with any 3rd parties. 13.2 Where appropriate, you may be required to select the required size, model, colour, number, and other features of the Goods that you are purchasing. 13.3 We neither represent nor warrant that Goods will be available. Stock indications are [not] provided on the Website [however such indications may not take into account sales that have taken place during your visit to the Website]. 14.1 No part of this Website constitutes a contractual offer capable of acceptance. Your order constitutes a contractual offer that we may, at our sole discretion, accept. Our acceptance is indicated by us sending to you an order confirmation email. Only once we have sent you an order confirmation email will there be a binding contract between Nachiyar Online and you. 14.3 If we, for any reason, do not accept your order, no payment shall be taken under normal circumstances. In any event, any sums paid by you in relation to that order will be refunded within 14 calendar days. 14.4 All Goods purchased by you will be delivered within 30 calendar days of our order confirmation unless otherwise agreed. 14.5 The risk in the Goods shall remain with us until they come into your physical possession. 14.6 All products are subject to availability. In the event of unavailability, we reserve the right to substitute the product with another product of equivalent value and quality. Minor changes in packaging, product or substitution can happen without notice. In case of no supply or major substitution, we will contact via phone and email to confirm the changes. In case of unavailability, we will wait for a confirmation or further instructions till the last possible minute and then deliver the best possible solution to your order. 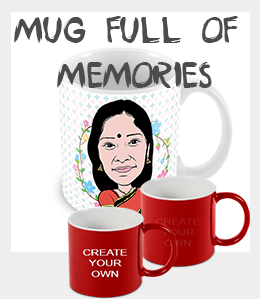 Nachiyar Online aims to always provide high quality Goods that are fault free and undamaged. On occasion however, Goods may need to be returned. Returns are governed by these Terms and Conditions. 15.1 If you receive Goods which do not match those that you ordered, you should contact us within 2 calendar days to arrange collection and return OR visit the returns page on the Website within 1 calendar days by clicking www.nachiyaronline.com to complete a returns form and print a pre-paid returns label. You will be given the option to have the Goods replaced with those ordered (if available) or to be refunded through the payment method used by you when purchasing the Goods. Replacements will be issued upon our receipt of the returned Goods. We are fully responsible for paying shipment costs. Goods must be returned in their original condition with all packaging and documentation. The packaging does not need to be unopened. Refunds will be issued 14 days and in any event no later than 30 calendar days after receipt of the returned Goods and will include standard delivery charges. We regret that additional costs such as express delivery and gift-wrapping cannot be refunded. 15.2 If Goods are damaged in transit and the damage is apparent on delivery, you should sign any applicable delivery note to the effect that the Goods have been damaged. To return the damaged Goods, please contact us within 2 calendar days to arrange collection and return OR visit the returns page on the Website within 14 calendar days by clicking www.nachiyaronline.com to complete a returns form and print a pre-paid returns label. We are fully responsible for paying shipment costs. You will be given the option to have the Goods replaced or to be refunded through the payment method used by you when purchasing the Goods. Replacements will be issued upon our receipt of the returned Goods. Refunds will be issued no later than 30 calendar days after receipt of the returned Goods and will include standard delivery charges. We regret that additional costs such as express delivery and gift-wrapping cannot be refunded. 15.3 If any Goods you have purchased have faults when they are delivered to you, you should contact Us within one calendar days to arrange collection and return OR visit the returns page on the Website within 5 calendar days by clicking www.nachiyaronline.com to complete a returns form [and print a pre-paid returns label. You will be given the option to have the Goods replaced or to be refunded through the payment method used by you when purchasing the Goods. We are fully responsible for paying shipment costs. Replacements will be issued upon our receipt of the returned Goods. Refunds will be issued 14 days and in any event no later than 30 calendar days after receipt of the returned Goods and will include standard delivery charges. We regret that additional costs such as express delivery and gift-wrapping cannot be refunded. 15.4 If any Goods you have purchased develop faults within 2 calendar days of delivery, you may be entitled to a replacement but not a refund. In order to arrange for such a replacement you should contact Us within the 5 days calendar day period to arrange collection and return OR visit the returns page on the Website within the 5 calendar day period by clicking www.nachiyaronline.com to complete a returns form and print a pre-paid returns label. We will assess the Goods and alleged faults upon receipt and if we conclude at our sole discretion, acting reasonably and in good faith determine that the fault is not a result of mistreatment by you deliberate, negligent or otherwise, we will issue replacement Goods at no additional cost to you. 15.5 If any Goods develop faults beyond 2 calendar days from delivery but within their warranty period, you are entitled to a repair or replacement under the terms of that warranty. Nachiyar Online is not a party to such warranties and you must therefore contact the manufacturer of the Goods directly. 15.6 If you are a consumer based within the European Union, you have a statutory right to a “cooling off” period. This period begins once your order is complete and ends 14 calendar days after the Goods have been delivered to you. If the Goods are delivered to you in instalments, the 14 calendar day period begins on the day that you receive the final instalment. If you change your mind about the goods within this period, please inform us within 14 calendar days of receipt. Goods must be returned to us within 14 calendar days of the day on which you inform us that you wish to return the Goods. You are responsible for paying return shipment costs if Goods are returned for this reason. Refunds will be issued 14 and in any event no later than 14 calendar days after you inform us that you wish to cancel under this provision and will include standard delivery charges. We regret that additional costs such as express delivery and gift-wrapping cannot be refunded. 15.7.6 Any use or enjoyment that you may have already had out of the Goods beyond handling them to the extent necessary to establish the nature, characteristics and functioning of them such as you would, for example, handle a display item in a shop. Please note that opening packaging does not prevent you from returning Goods unless the Goods fall under sub-Clauses 15.7.3 or 15.7.5 and in any event does not include the opening of delivery packaging, only the packaging of the product itself. 16.2 The Website places the following cookies onto your computer or device. These cookies are used for the purposes described herein. Full details of the cookies used by the Website and your legal rights with respect to them are included in our www.nachiyaronline.com. 17.4 We will not pass on your personal information to any other third parties without first obtaining your express permission. 20.1 The Website and any Service provided therein is provided “as is” and on an “as available” basis. We give no warranty that the Website or any Service will be free of defects and / or faults. To the maximum extent permitted by the law we provide no warranties (express or implied) of fitness for a particular purpose, accuracy of information, compatibility and satisfactory quality. 21.1 To the maximum extent permitted by law, we accept no liability for any direct or indirect loss or damage, foreseeable or otherwise, including any indirect, consequential, special or exemplary damages arising from the use of the Website or any information contained therein. You should be aware that you use the Website and it’s Content at your own risk. 21.2 Nothing in these Terms and Conditions excludes or restricts Nachiyar Online's liability for death or personal injury resulting from any negligence or fraud on the part of Nachiyar Online. 21.3 Nothing in these Terms and Conditions excludes or restricts Nachiyar Online’s liability for any direct or indirect loss or damage arising out of the incorrect delivery of Goods or out of reliance on incorrect information included on the Website. Nothing in these Terms and Conditions shall confer any rights upon any third party. The agreement created by these Terms and Conditions is between you and Nachiyar Online. 25.1 All notices / communications shall be given to us either by post to Our Premises (see address above) or by email to info@nachiyaronline.com. Such notice will be deemed received 3 days after posting if sent by first class post, the day of sending if the email is received in full on a business day and on the next business day if the email is sent on a weekend or public holiday. 25.2 We may from time to time, if you opt to receive it, send you information about our products and/or services. If you do not wish to receive such information, please www.Nachiyar Online.com. These Terms and Conditions and the relationship between you and Nachiyar Online shall be governed by and construed in accordance with the Law of England and Wales and Nachiyar Online and you agree to submit to the exclusive jurisdiction of the Courts of England and Wales.